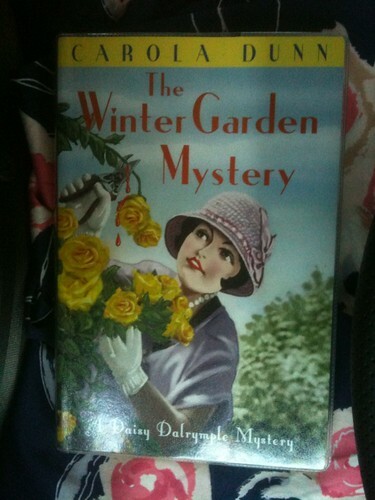 i have to admit, i have not read any of the Daisy Dalrymple mysteries before, i'd not heard of them either if i'm being completely honest..but seeing the book in the library, i did break the golden rule and judge it by it's cover and picked it up as i liked the look of the hat Daisy was wearing on the cover..
having done a little research after reading the book, it seems this is the second in quite a hefty series, but this worked perfectly well as a stand-alone as well, which i always prefer when it comes to a series of books..obviosuly there are characters who will span a lot of the books, but enough background information was given that the reader could join the dots for themselves..
the main character is a likeable one, not as arrogant as readers may have come to expect from 'whodunnit' stars, which is refreshing, and the story was a relatively fast-paced, easy read, set in a 1920s country house, and with a few twists and turns to shy away from being predictable..
if all other Daisy Dalrymple mysteries are similarly written, i'll certainly keep an eye out for more next time i'm in the library as i was pleasantly suprised! i have written here about how much i have enjoyed other Lesley Lokko books, and this one was no exception..the book tells the story of the four main characters; spoilt, South-African diamond-heiress Rianne, dependable Gabby, flirtacious Charmaine, and down-to-earth Nathalie..
the book follows these four girls over three decades of their lives, and in particular i enjoyed the first section where they met at boarding school, partly because it had a typical 'boarding school story' feel to it, and i was a big fan of series ike Malory Towers etc when i was younger, and also partly because it was set in a town familiar to me, which i do think makes a difference in the readers' enjoyment - if a writer is describing a scene in a place you know, and are familiar with, you are more likely to find some kind of empathy with the setting, right?! whilst you may be thinking oh, a story about four girls, it'll be typical chick-lit, i think that Lokko writes in a style which moves away from the ubiquitous 'chick lit' label, and into a more gritty, realistic view of the world..each girl encounters difficult situations, which i think made me as a reader like them more, in particular Charmaine, whose feelings in the latter part of the book i found it quite easy to relate to..
whilst i don't wish to give anything away about the plot, or the directions in which the lives of the main characters go, there is the link with South Africa and other African countries, which you would expect from Lokko's writing - there is some political reflection of events (which may or may not be partially true; i don't know enough about early 90s world politics to be able to comment) but some well-known political names come up which, again, work to make the story seem more grounded..
the plot was full of twists and turns, and moves nice and fast through the course of the book, which i liked, as it made it easy to read the book in just a couple of sittings..i'd definitely recommend it! 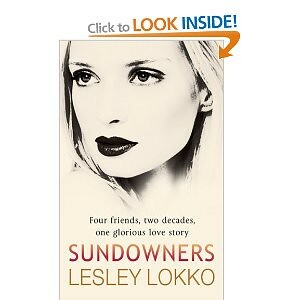 I read Sundowners when I was about 17, when it first came out and enjoyed it too. It had a lot more depth than the average novel about a group of 'girlfriends' so to speak. I can't really remember what happened though so maybe I'll re read it one day! The first book looks pretty good! I might have to have a look in my local library.